With us, installing and refinishing hardwood floors is a State-of the-Art craft. 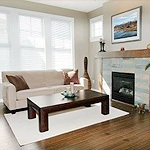 "Our focus is solely the installation or restoration of your hardwood floors. Since we are the ones who actually do the work, we provide excellent advice and quality while taking full responsibility for our efforts." Let's get started on creating the room of your dreams. Isaac has done a great job on two separate jobs for me. He also has done work for 2 friends and they also were very happy. Good price, good work, and always on time. Professional, courteous, and provided all options to get us what we wanted. Thank you once again...we are continuing to enjoy our new wood floors. We found you and your people very easy to work with and are very pleased with the results. Thank you! We have been very pleased with Atlanta Wood Masters outstanding work in re-coating our floors. Their attention to detail and high level of quality work speak very highly of their company. I strongly recommend Atlanta Wood Masters.